Ellen Malphrus lives and writes beside the May River in her native Carolina lowcountry and beneath the Madison Mountains in western Montana. She studied under esteemed poet and author of Deliverance, James Dickey, who was her mentor and Graduate Director for the MFA she earned at the University of South Carolina. Click here to read her brief tribute published in the special issue of Apostrophe dedicated to Dickey after his death in 1997. She was also mentored by her beloved friend Pat Conroy, who wrote the foreword to Untying the Moon. Malphrus’ fiction, poetry, and essays have appeared in a variety of publications including Southern Literary Journal, Review of Contemporary Fiction, William & Mary Review, James Dickey Review, Haight Ashbury Review, Georgia Poetry Review, SCG Lifestyle, the anthology Our Prince of Scribes: Writers Remember Pat Conroy, the anthology Essence of Beaufort and the Lowcountry, and the anthology Literature: Reading and Writing with Critical Strategies. Since earning her Ph.D. in Twentieth Century American Literature with an emphasis in Southern Literature, Malphrus has taught literature and creative writing at USC Beaufort where she is Writer-in-Residence and Professor of English. She is also Deputy Director of the annual Pat Conroy Literary Festival, held in Beaufort, South Carolina. 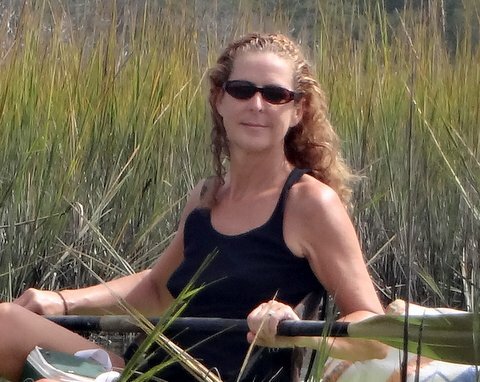 She is most at home in nature, and her concern for wild places and creatures, particularly when it comes to coastal conservation, is evident in the fabric of her writing. A proud and unrepentant Luddite, Malphrus merrily eschews electricity and running water at her Montana cabin and counts herself fortunate that her husband, Andy Fishkind, is of the same mindset. Their grown daughter Sarah and their rescue pets, however, are quite content with creature comforts and remain behind in South Carolina.